If you happened upon this bird, what does your gut say it is? There are some birds that are no-brainer identifications simply because nothing else looks like that species. However, many birds have nearly identical cousins and therefore demand a little more of our time and attention before putting a name to them. Your first impression of the bird pictured above may depend entirely upon where in the world you live and what you might expect in your area. My rapid trigger pulling on bird identification is dangerous. It could lead to misidentifications and maybe even some public shaming. More importantly, it might cause me to miss out on the glory of finding a true rarity for the region. Given that I had previously seen an Ash-throated Flycatcher at this location and that other birders have reported seeing them there, let's look at the field marks of an Ash-throated Flycatcher as noted my digital field guide apps on my iPhone. Sibley: Whitish wing-bars = Check. Whitish throat = Check. Very pale yellow below = Check. Whitish edges on secondaries = Check. Dark color across tip of tail feathers = Check. Audubon Birds: Hindcrown peaked when alert = Check. Rufous primary edges; white secondary edges = Check. Narrow pale margins to tertials = Hmm...diagram in app points to tail-feathers, so an error in the app there. Dull olive above (back browner that similar Myiarchus) = Definitely dull olive-brown back, but nothing to compare it to. Throat and breast grayish-white = Check. Habitat: desert, dry woods = Check. iBird Pro: Gray-brown upperparts = Check. Pale gray throat and breast = Check. Gray-brown tail with rufous highlights = I'd say more brown to dark with a hint of rufous. Pale yellow belly = Check. Bill, legs, and feet are black = Check, but there is some lighter coloring at the base of the bill too. Peterson: Two wing bars = Check. Whitish throat = Check. Pale Gray breast = Check. Pale Yellowish belly = Check. Rufous tail = not so apparent. Head slightly bushy = Check. You would think after reviewing four different field guide apps that it would be slam-dunk i.d.. 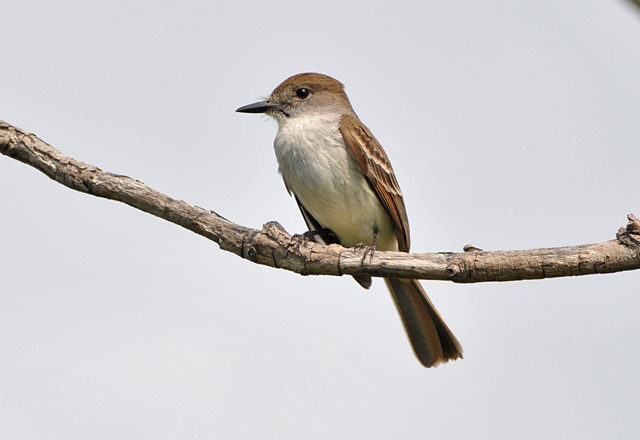 Given the habitat and location, calling this bird an Ash-throated Flycatcher is a pretty safe bet. But take a look at the images below...don't most of the attributes above match the birds below too? These closely related species do have subtle difference...the amount and brightness of the yellow on the belly, the amount of rufous in the tail feathers, bill and body shape-size-color, and slight contrasting colors in the face. Good luck! The moral of the story: relying on initial impressions is generally okay, but when it comes to birds with very similar appearing relatives, give them some due diligence and study them. Once you've learned the key differences between the similar looking birds, combined with experience and knowledge of birds in the region, you'll be able to pull that identification trigger quickly and confidently. This kind of challenge is just another reason why birding is fun! Hi there - great post. I have similar problems here with our flycatchers - bit of a nightmare really. Then you have the waders, the honey eaters, all of our crows etc and such like! Birding is a good challenge! 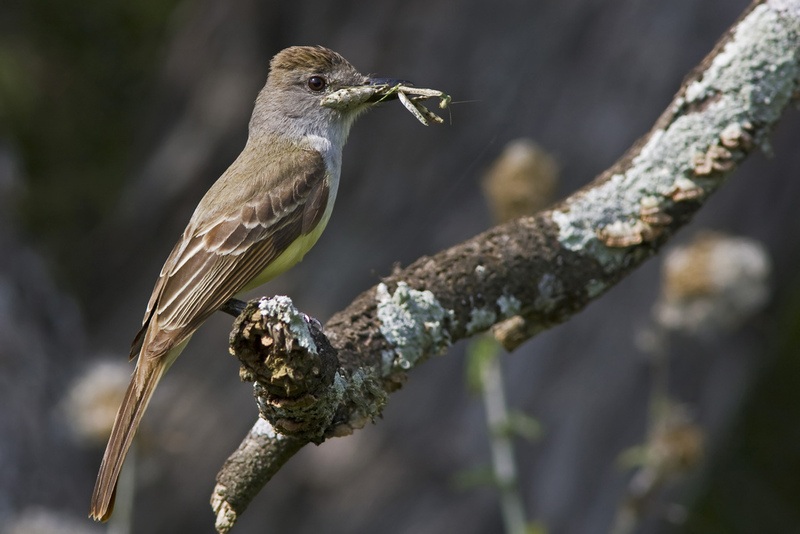 Flycatchers of all types seem to come with many similar appearing relatives making fun identification challenges. I wonder if anyone out there has DNA data on how closely or how distinct each species of flycatcher is. They seem so similar in appearance and behavior that their evolution from a single line appears certain. Lovely shots and guess we all face the same problem while identifying similar birds:)Anyway have a great day! Great info - very educational, Robert! Teaches you not to rely on quick eyewitness identification. Quick recognition of birds generally works and will be right most of the time. However, when it's a species with many similar relatives, with the strong potential of vagrants being around, we definitely need to slow down and give that species a bit of extra time and evaluation before passing it off as what we expect it to be. Robert, you are so right! When I lived n AZ I had to be careful when trying to distinguish the ash-throated and the dusky-capped. Out here in Mass I can be fairy safe in my identification of a Great-crested. I'd be lost if one of these rarities showed up! wonderfully informative post! I got to see my first Great-crested back in April during my NC trip. I was amazed at how similar it was to the Ash-throated. The G-C does have a lot brighter yellow belly. 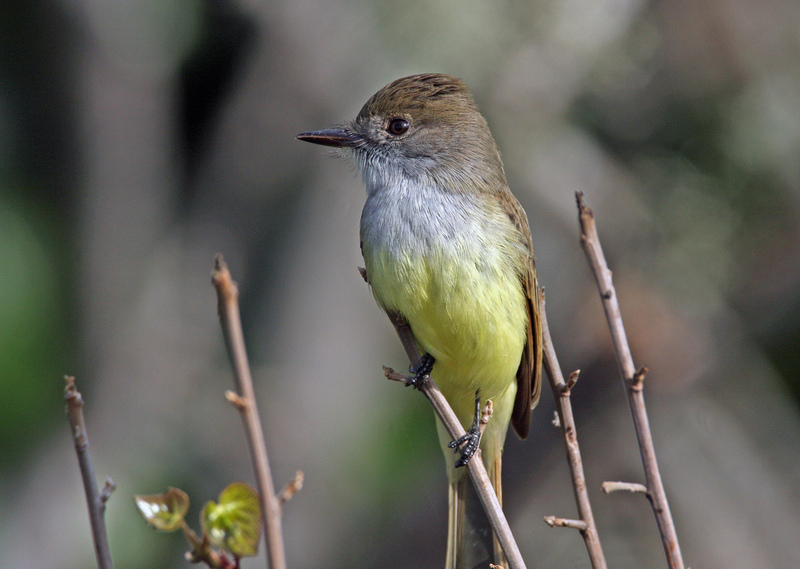 We can thank Ron Wolf for that beautiful Dusky-capped flycatcher image. I've looked at his other bird photography and it is amazing stuff! Great post Robert! We all need to be reminded every now and then to be more careful with our identifications and take a closer look. I can't help but wonder how many rarities I've missed because I too quickly passed the bird off as a more common species. birding is fun!! you shared some amazing captures and wonderful information!! Thanks for taking the time to comment Debbie. Glad you enjoyed it! Great photos and post, Robert! Great message! I particularly have a difficult time identifying flycatchers. The fabulous photographs featured in this post show how hard bird identification can be. 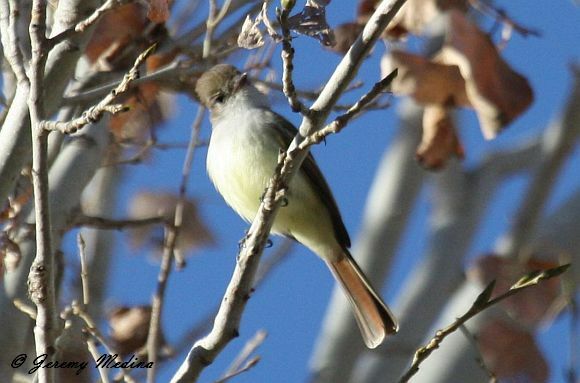 You don't mention voice, other than that it was "conspicuously singing" (and the bird appears to be calling in the 2nd photo) - I've found that the easiest and most reliable way to differentiate these flycatchers is by their calls. Excellent point Andrew! It was calling very regularly and I did later confirm that the voice matched perfectly with the recordings in my various iPhone apps. Then again, I didn't play any sounds of similar appearing birds to compare it against. Did he say Tremulous Tanager?